If you’ve ever shopped at a Price Chopper or a Hen House in Kansas City, you’ve likely seen the work of Schraad and Associates! They are a retail-focused, full-service food broker who provides custom sales and marketing services for the packaged food industry. Dry grocery, frozen and dairy, produce, natural and specialty, dollar and extreme value, and even Hispanic grocers, Schraad understands how to move products off shelves in all departments of retail grocery stores. 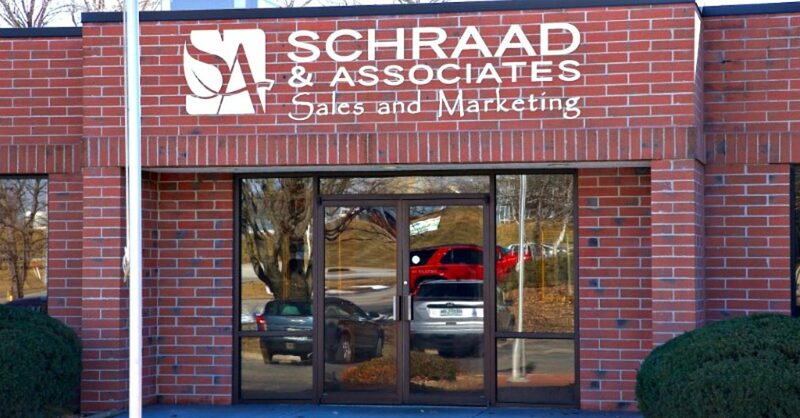 Headquartered in Oklahoma City, Schraad & Associates opened an office in Martin City in 2011 as their central region headquarters. With so much media fighting for the public’s attention, they believe the best place to reach consumers is in the store when the buyer is standing in front of the product. Their brand management and retail account management teams are skilled at display signage, placement, ongoing brand development, and new product launches, and they have deep knowledge of shopper rewards programs. Schraad has the relationships and departmental acumen to be effective across an entire store. To learn more about their services, please visit their website.